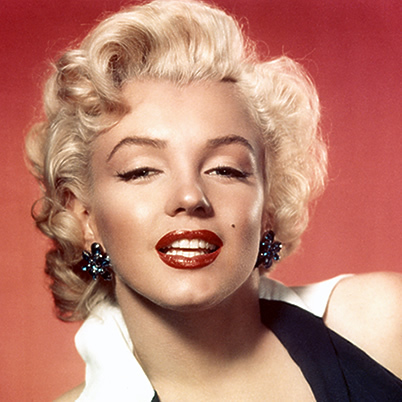 Few stars have shown as brightly as Marilyn Monroe. Over 50 years have passed since her tragic death yet she remains one of Hollywood’s most iconic and popular actresses. Two of Monroe’s best-loved films, GENTLEMEN PREFER BLONDES and HOW TO MARRY A MILLIONAIRE, are celebrating their 60th anniversaries this year. In honor of this milestone, the Capitol Theatre (1390 W. 65th St., Cleveland) will present these two films as a special one-week only double feature starting on Friday, April 26th. In GENTLEMAN PREFER BLONDES Marilyn Monroe and Jane Russell star as two beautiful women on a luxury liner. Each is looking for what they love most – diamonds (Monroe) and men (Russell). This film features Marilyn’s legendary “Diamonds are a Girls Best Friend” number. Marilyn Monroe, Betty Grable and Lauren Bacall star in the comedy HOW TO MARRY A MILLIONAIRE as three women determined to find themselves rich husbands. GENTLEMEN PREFER BLONDES plays at 2:30 PM and 7:00 PM (please note that there is no 2:30 PM showing on Sunday, April 28th). HOW TO MARRY A MILLIONAIRE plays at 4:30 PM and 9:00 PM. Both films are screening from newly re-mastered 2K digital prints from 20th Century Fox. In addition to the films, the Capitol Theatre has partnered with THREE OLIVES VODKA and their new flavor, Marilyn Monroe Strawberry, for a special Happy Hour event on Friday, April 26th from 6 PM to 9 PM. Patrons (21 and over) will be able to sample this new vodka as they enjoy complimentary light appetizers from LUXE Kitchen and Lounge in the lobby before the show. The Capitol will be featuring Marilyn-themed $5 martini specials for the entire week while the films are playing. Admission to individual films is $6 each or $10 for the double feature. Double feature tickets are available at the Capitol Theatre box office only. $6 tickets are on sale at the theatre and online at clevelandcinemas.com.